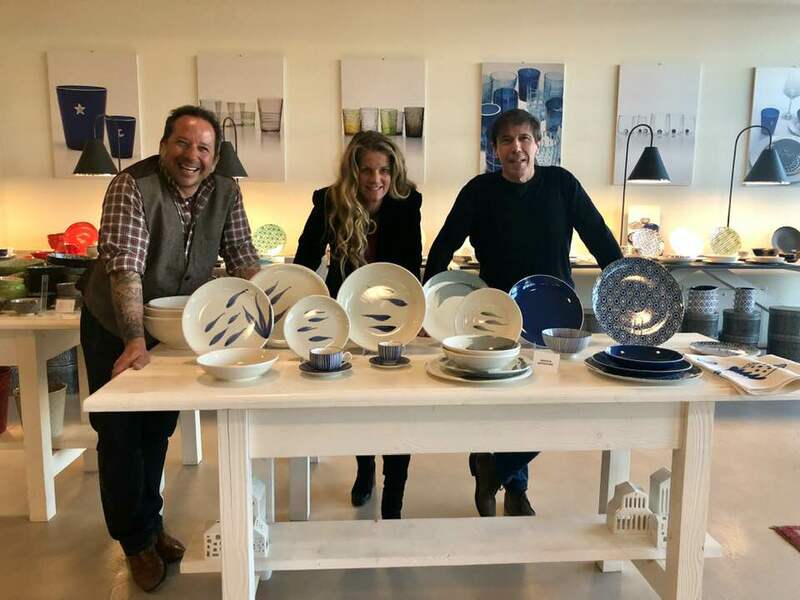 A quick visit to the ZAFFERANO glassware showroom in Venice and meeting with owner/creator, Federico de Majo (pictured with Melissa & Francesco), to pick up some of this season’s beautiful new plates and glasses! Of course, we chose blue!! ZAFFERANO have been exclusive partners of OMBRE BLU for the past 12 years, enabling us to serve our guests the best food & wine in the finest glasses, on the finest plates!! !